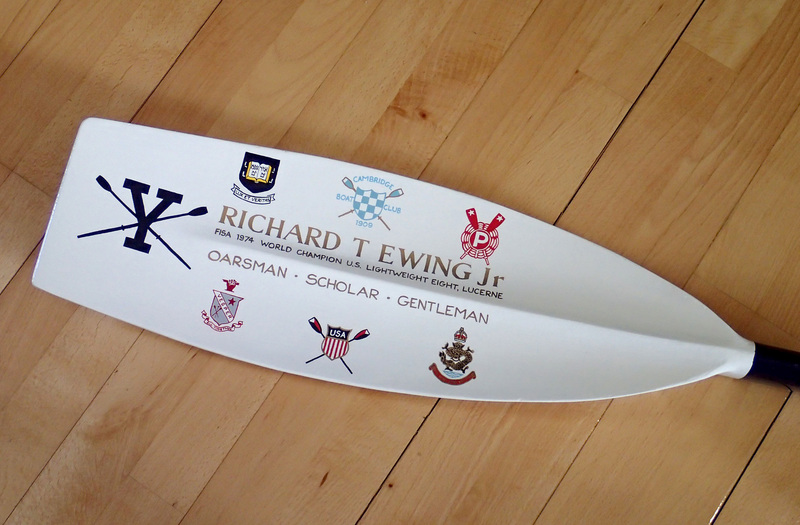 Brothers can be fiercely competitive at the best of times, but when both are talented oarsmen things can often get too hot to handle. 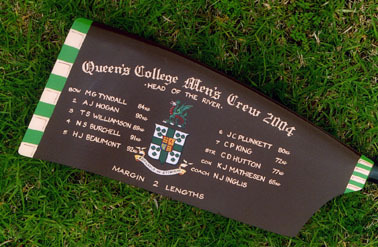 “We’re not competitive at all”, he said with a grin as I delivered an oar this afternoon. 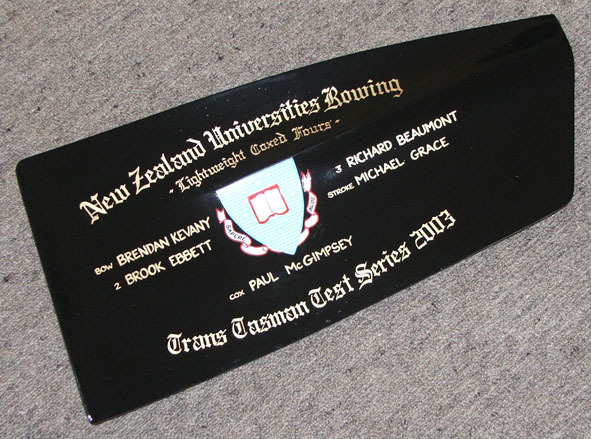 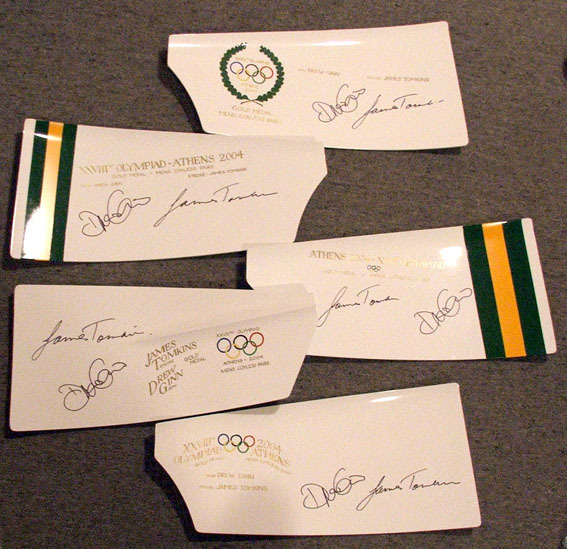 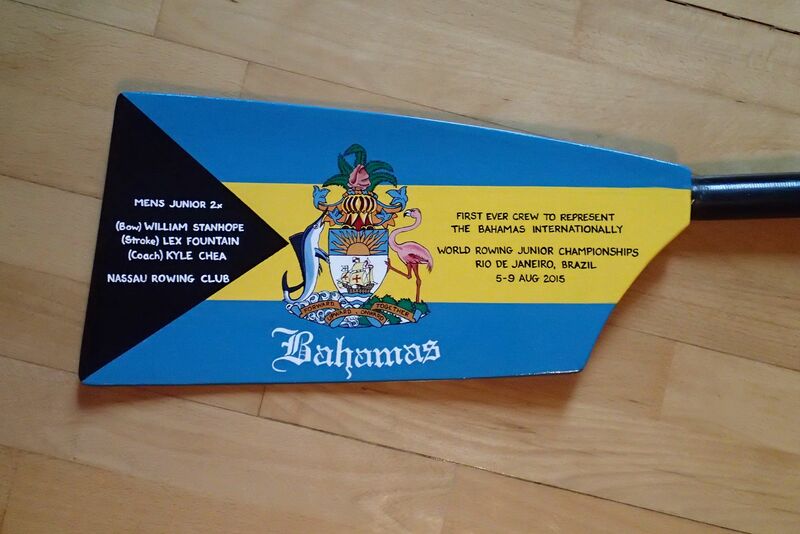 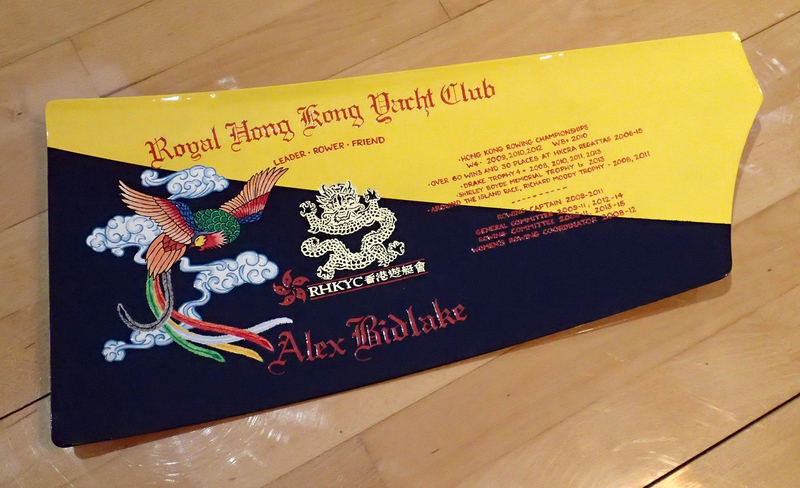 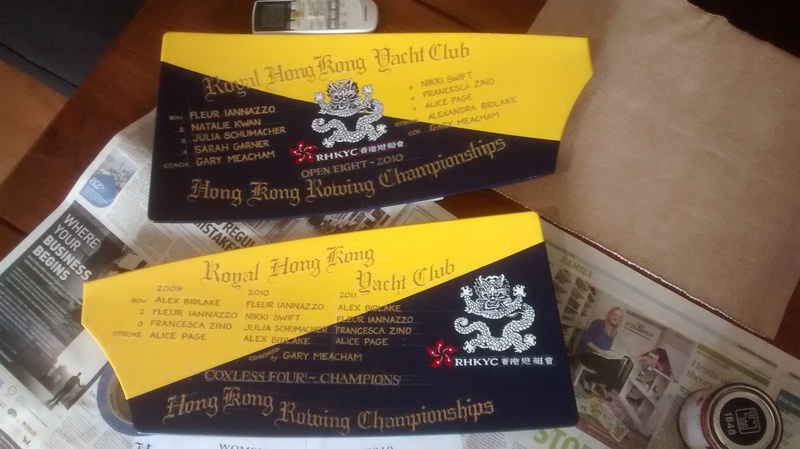 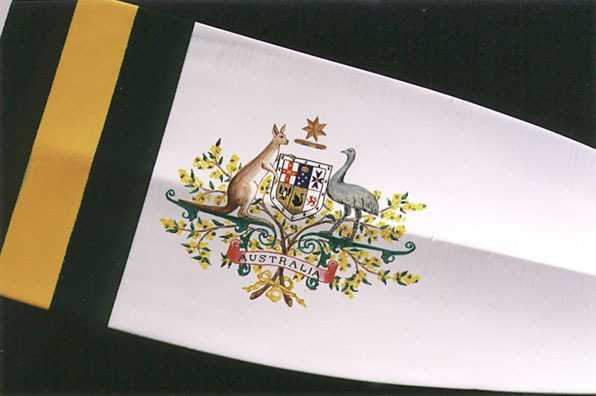 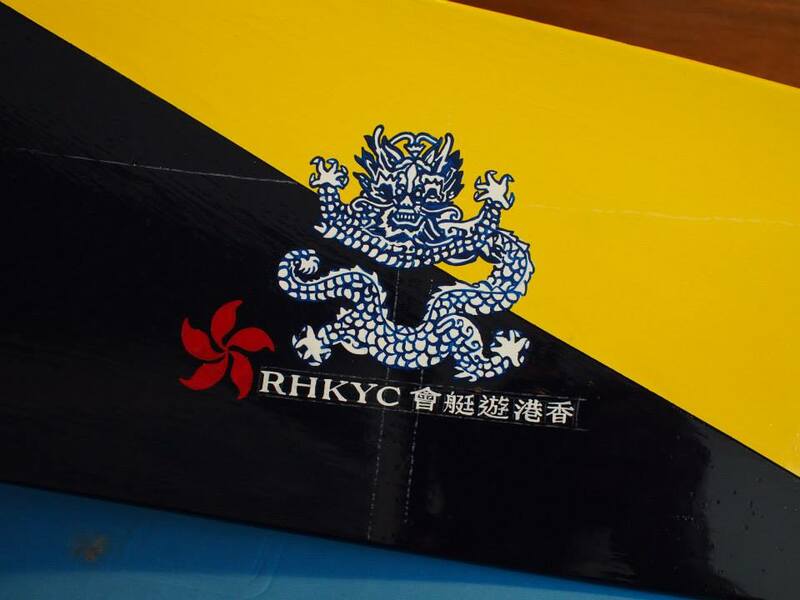 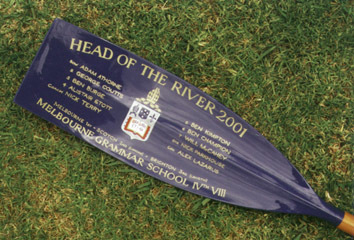 For many years both brothers have coveted their father’s Boat Race blade. 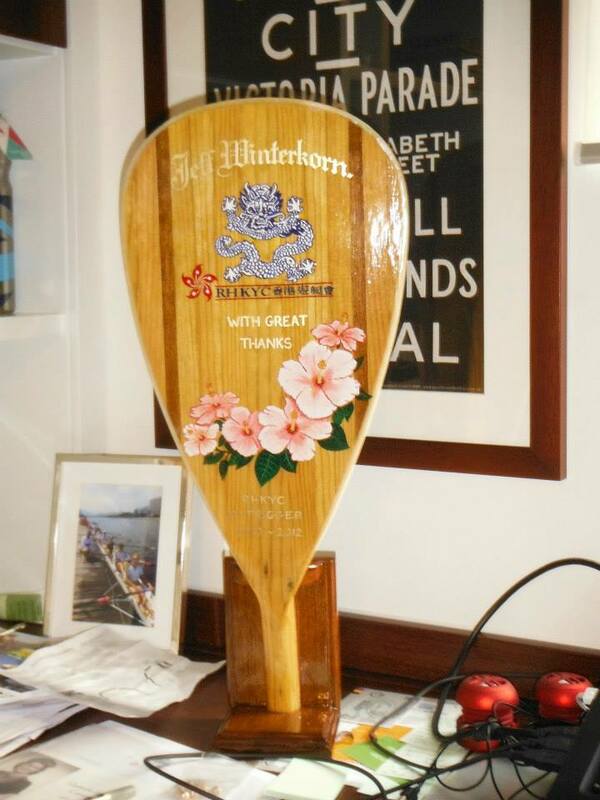 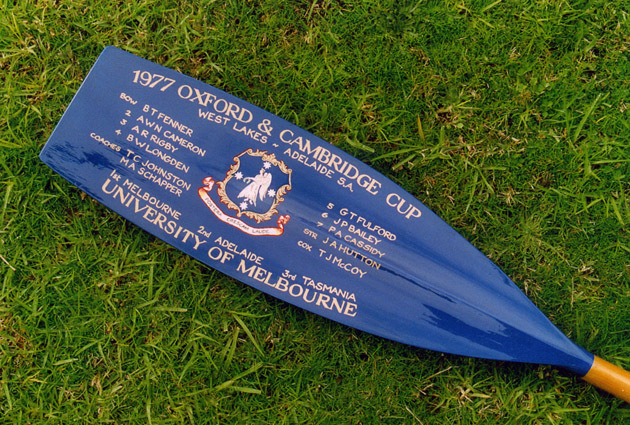 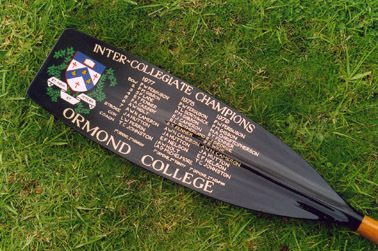 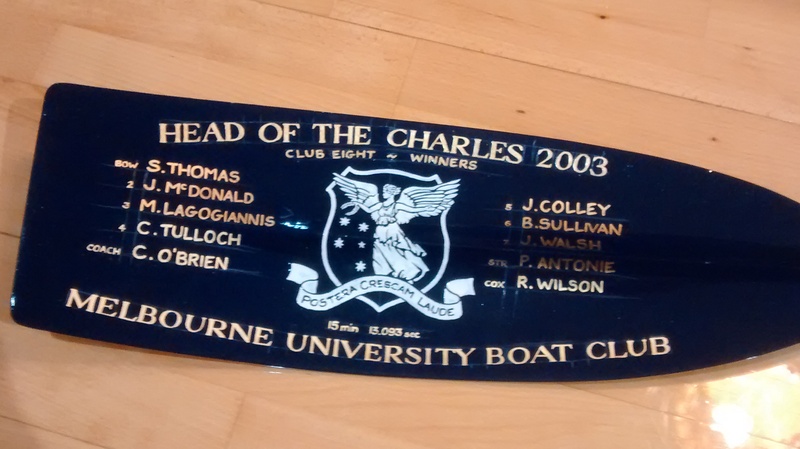 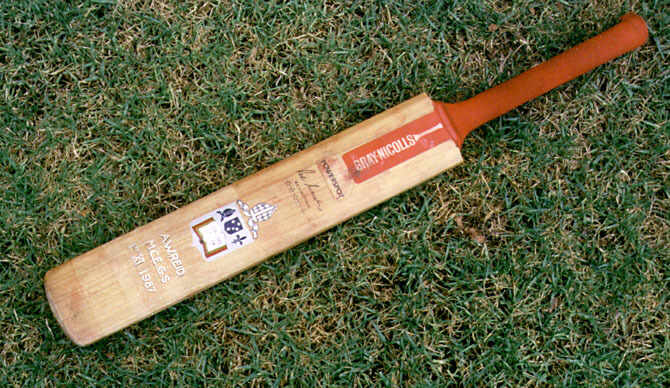 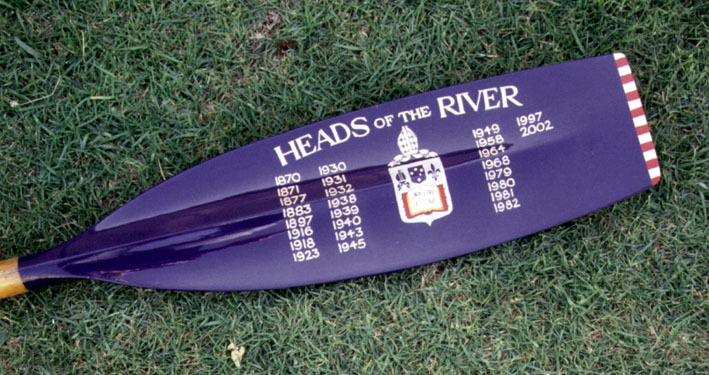 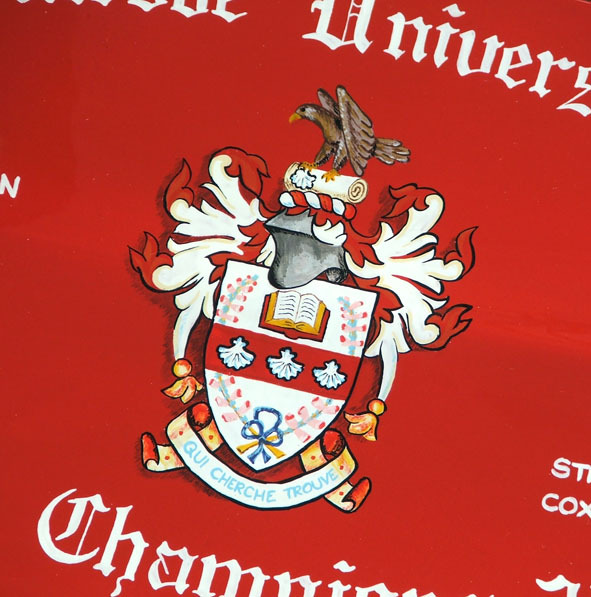 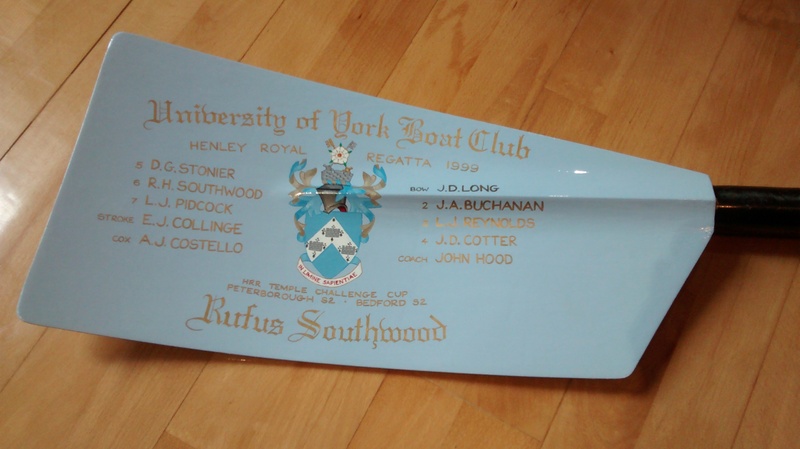 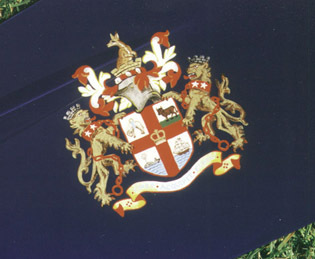 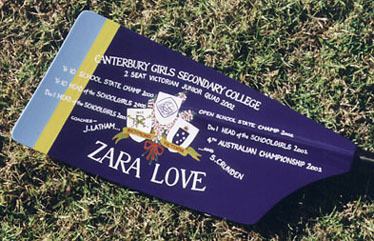 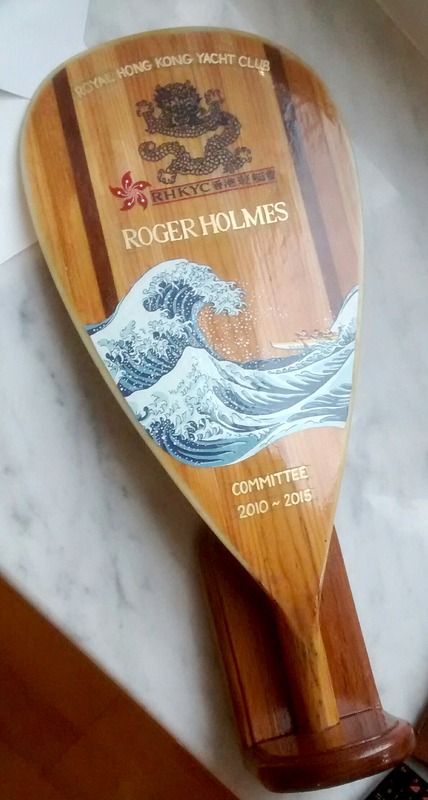 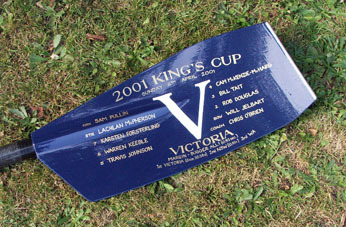 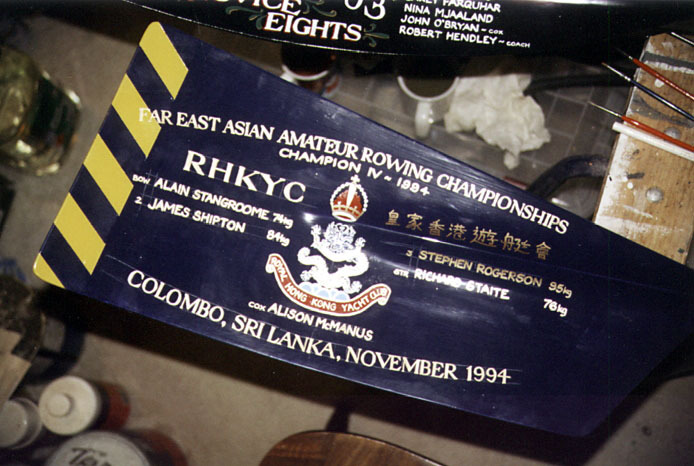 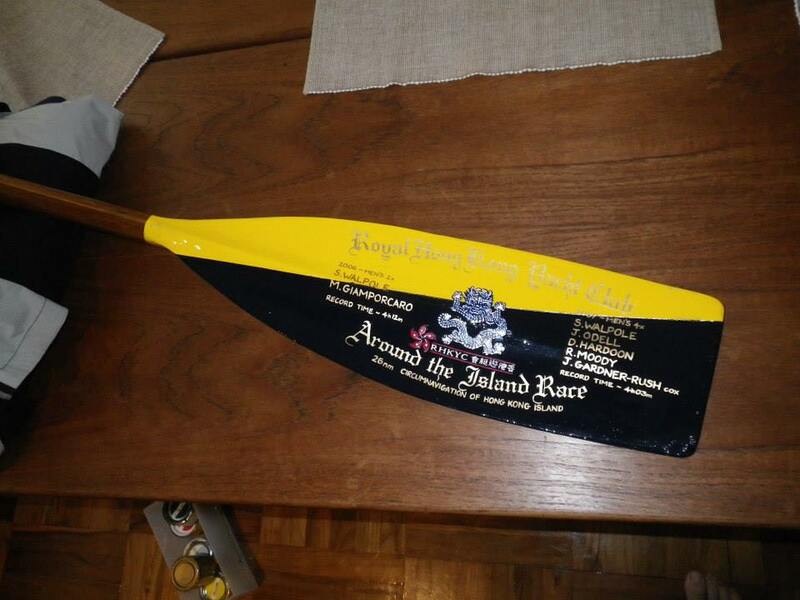 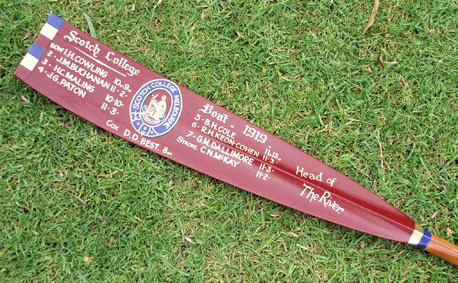 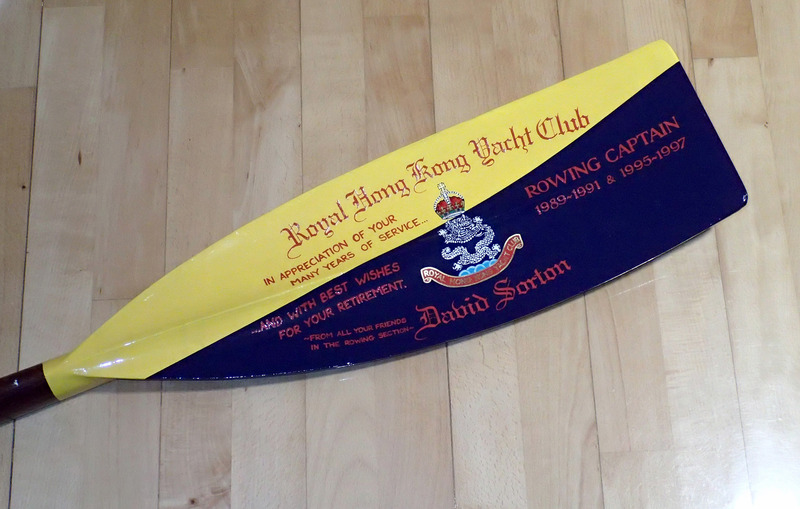 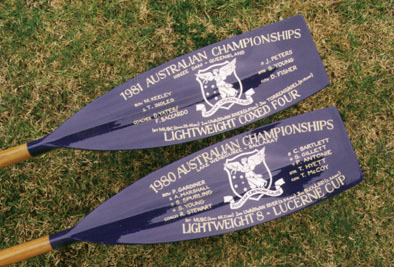 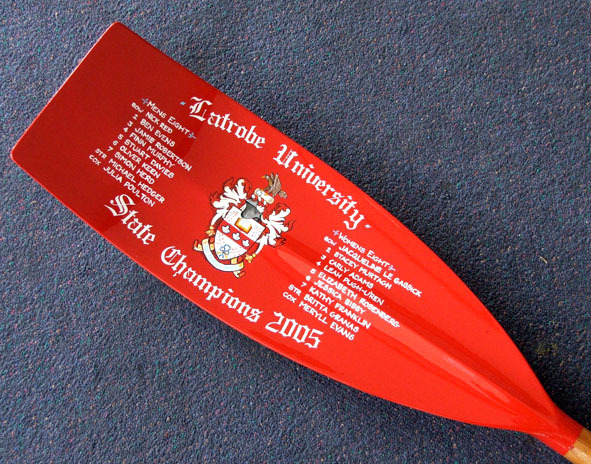 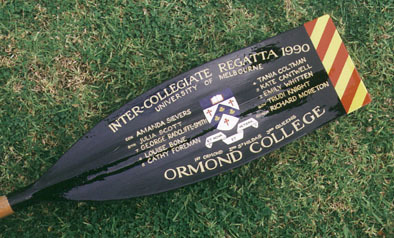 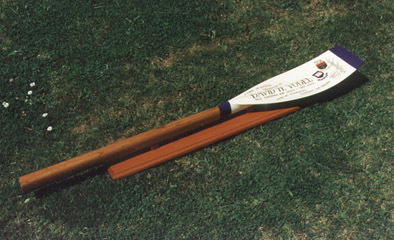 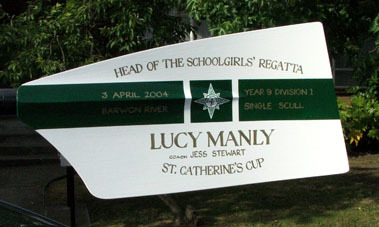 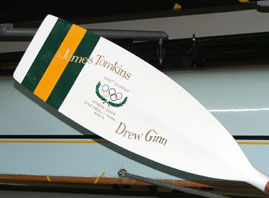 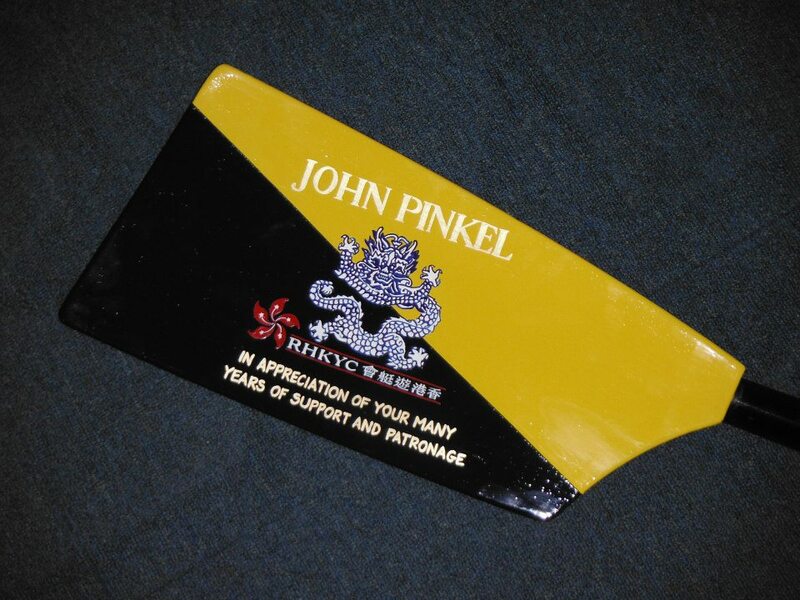 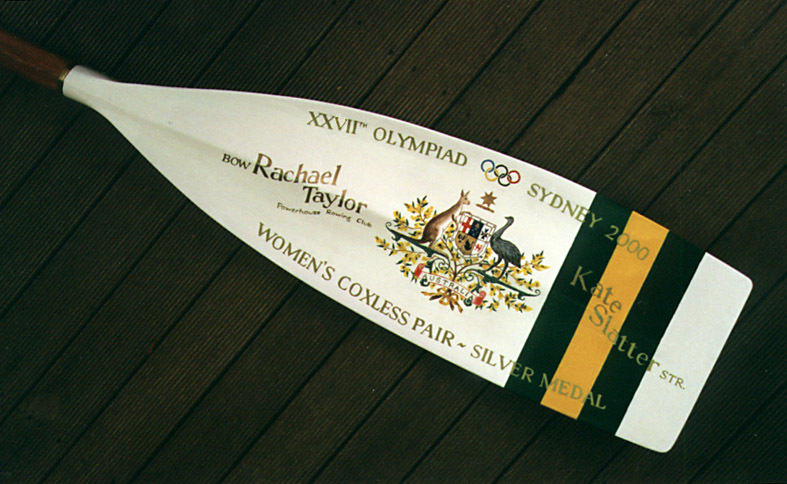 Each has also had a good rowing career with many wins, Henley appearances, and notable roles such as club Captain or committee member, but from childhood there was always something special about the oar that had pride of place in the family home. 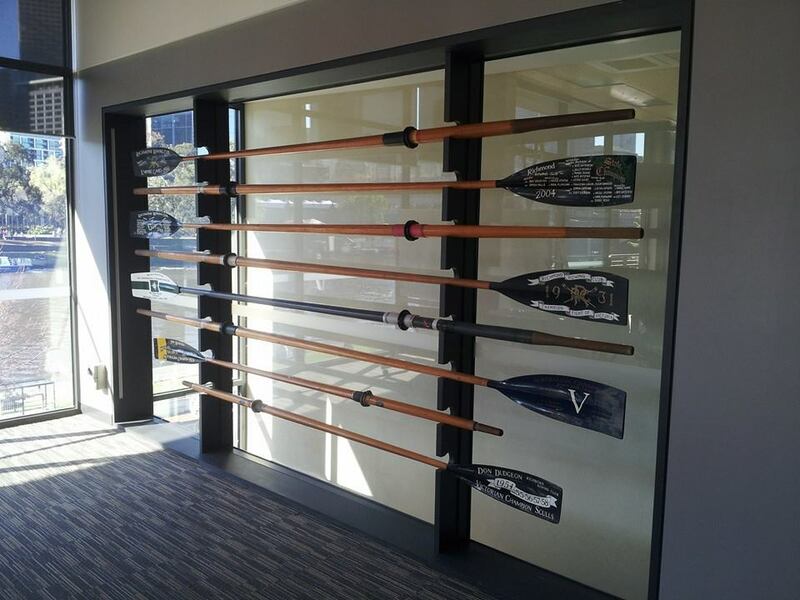 To solve this sibling rivalry, the younger brother came up with a bold plan – making a duplicate so that everyone could have the cherished family memory on the wall. 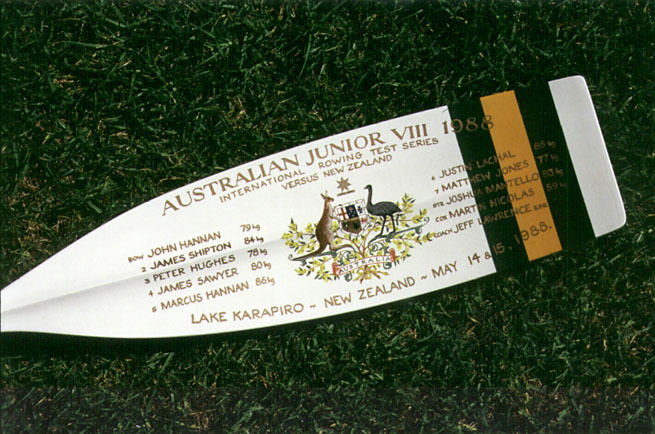 Armed with a handful of photos, I set out to recreate this blade. 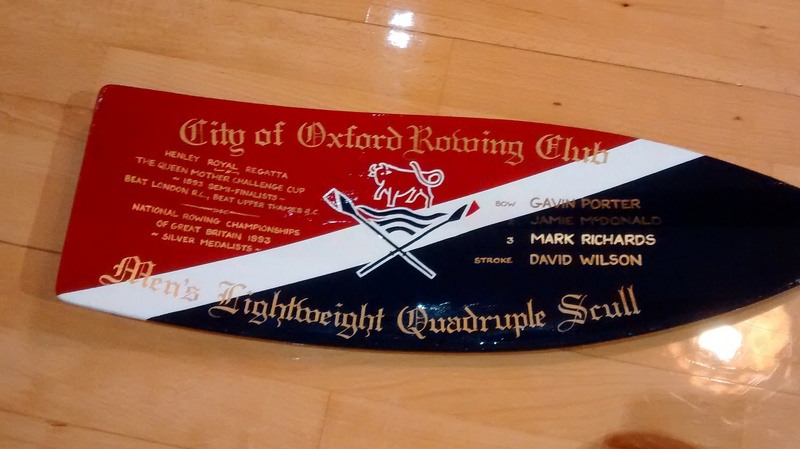 First stop was a boatman in Oxford with a handy stash of old oars. 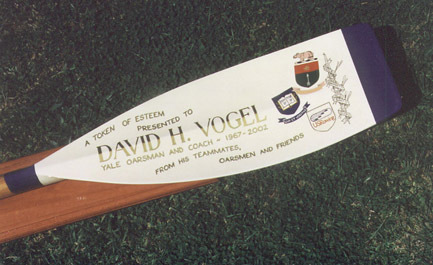 He was able to provide an oar of a suitable vintage. 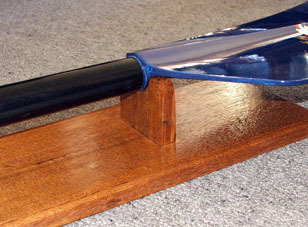 A copper tipped, girder shaft Aylings was purchased and prepared. 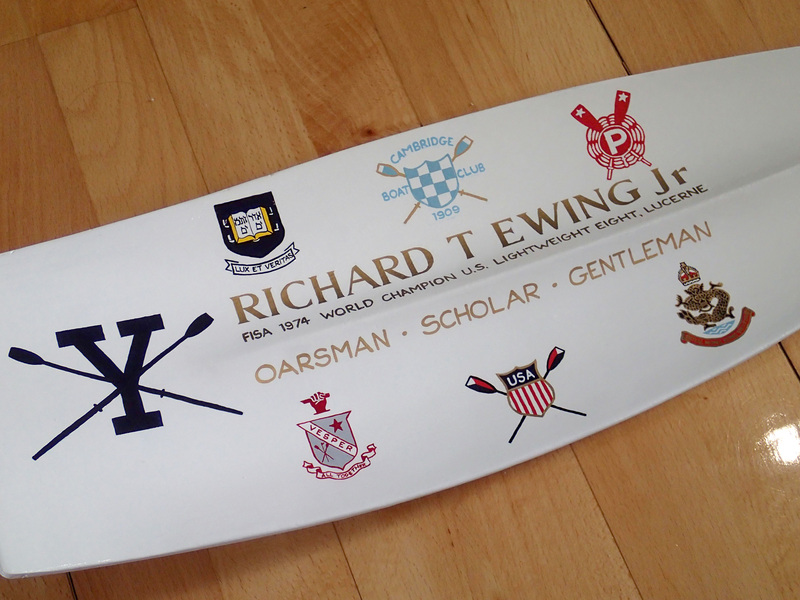 Then on to the painting via a few stops. 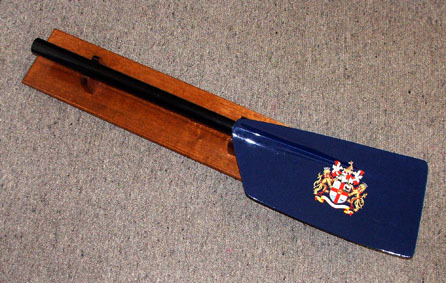 The custom mix of paint to create a convincing blackish-navy blue (as mentioned in previous posts), followed by a lot of care to try to layout the construction lines as close as possible to the original using only photos. 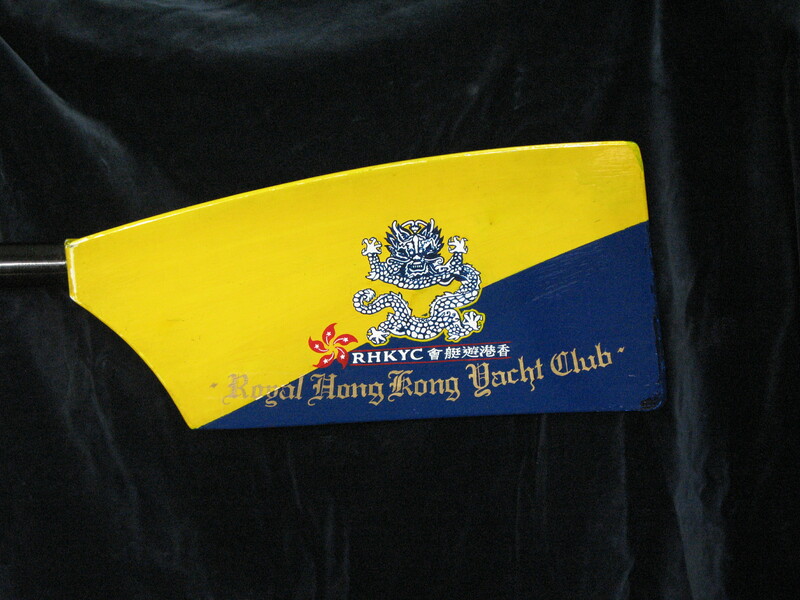 The painting had a few challenges and surprises. 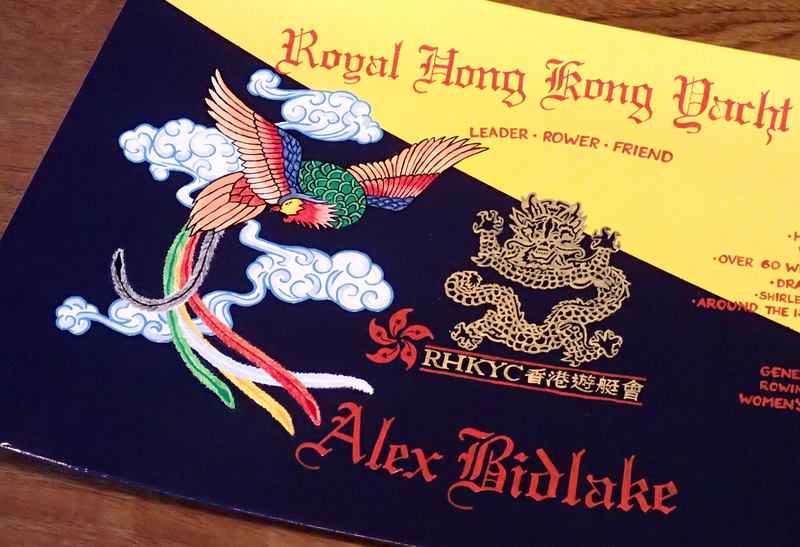 The five legged lion was amusing, while trying to copy another painter’s handwriting style was less fun. 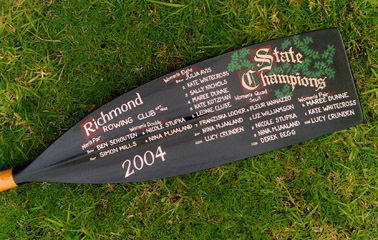 The steep ridge up the centre of these old oars is always a challenge to work around. 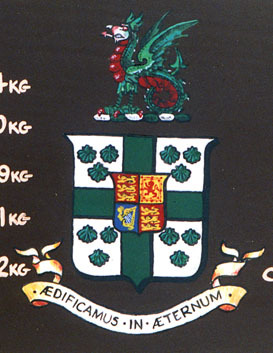 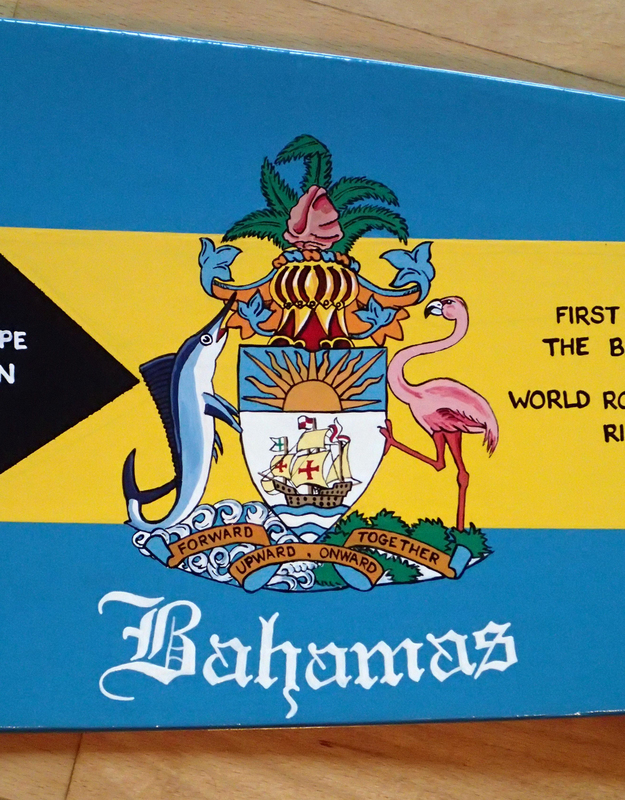 Bottom right: a para-rowing lion? 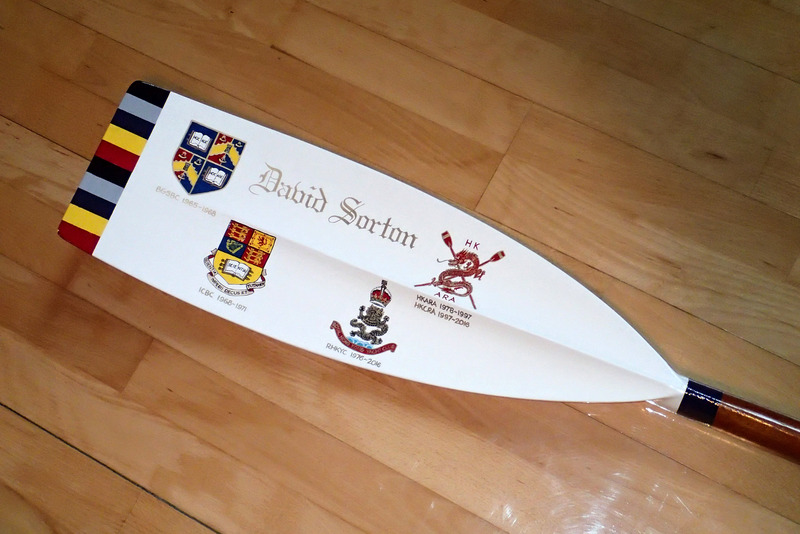 However, in the end it all came together to produce a finished oar that was as close to the original as I could make it (or at least without going barmy!). 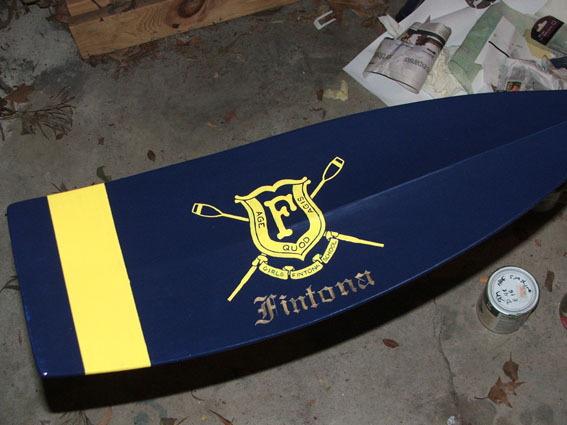 Yes, I did paint the extra leg. 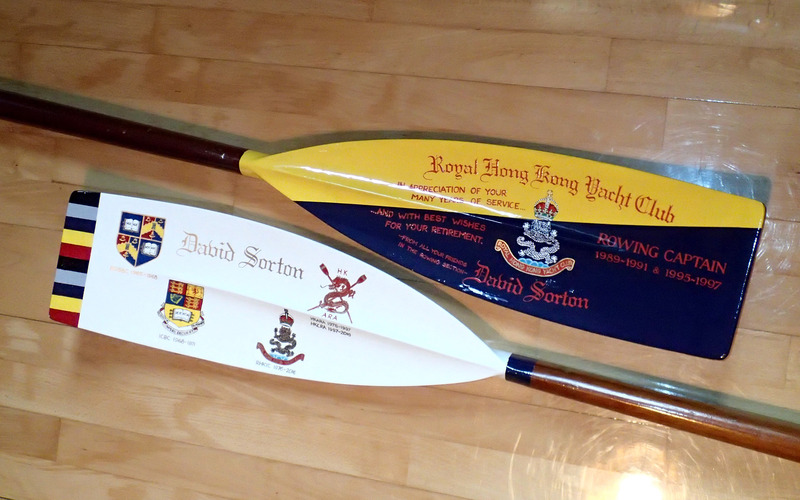 We have a happy customer and two happy brothers.